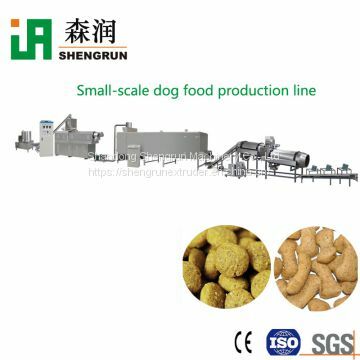 This processing line is specially designed to produce healthy pet food, such as dog food, cat food, ,also fish feed for these animals. 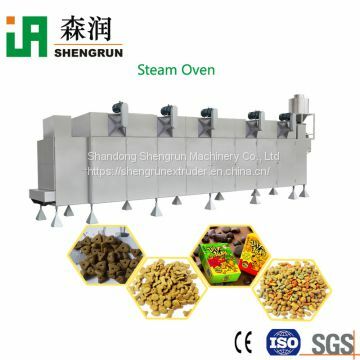 Normally using grains powder as main material, mixing with meat, bones powder, fish powder as a flavoring. 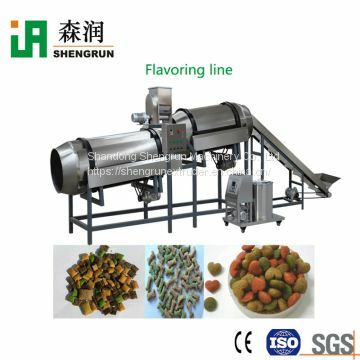 Pet food machine through adopting pre-conditioning system for raw material, it can increase capacity and reduce power consumption. This line would satisfy different demands for capacity and quality. Producing the many kinds of shape by changing the mould. 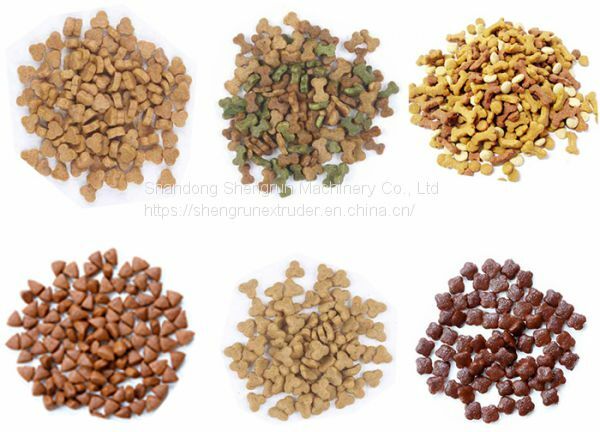 For this pet food line, we have small capacity and large capacity for your choice. A. Alloy (38CrMoAL) screw made by nitriding process, high strength and wear-resting. B. Gearbox with automatic lubrication function, extending gear life. 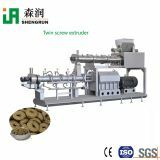 C. Self-cleaning ability, no need to discharge or clean the barrel and screw when roasting or replacing of materials. D. Production line is full automatic, only need 1-2 persons to operate. corn meal, wheat flour, wheat bran,rice flour, corn starch, de-oil soya flour, meat, bone, animal oil, vitamins, minerals, food color etc. Humidity: the moisture is no more than 15%. Sizes: (1) diameter: from 1.5mm-25mm. (2) length: user-defined. 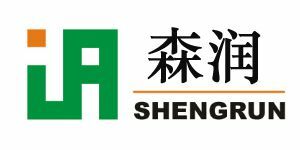 Shandong Shengrun Machinery Co., Ltd. is a professional manufacturer of extrusion machinery. Our company is located in Xiaoluzhuang Industrial Park, Tianqiao District, Jinan-the City of Springs. We boast strong design force, advanced production equipment and rich manufacturing experience. We have ISO9001:2008 and CE certificates, and pass SGS and TUV inspections. We are committed to making efficient extrusion machinery, twin-screw extruders, single-screw extruders, breakfast cereal and instant food (corn flakes, nutritional powder) production lines, snacks (fried, sandwiched snacks) production lines, pet food and fish food production lines, histone production machinery, modified starch production lines, bread crumbs production lines, experimental twin-screw extruders, and reproduced nutritional rice production lines, as well as R&D, production and distribution of packaging machinery. We offer you with the fruit of outstanding extrusion technology. High efficiency, high quality and high performance constitute our core competitiveness. Based on our powerful R&D ability, manufacturing skill and perfect service system, we have served the clients in 60 countries, and obtain their high praise. (3). Sending to port for boarding and transportation. (4). We also can send machines by air and train. A. Is configuration(allocation) fixed standard? B. Can I come to check your company(Jinan Shengrun Machinery Co., Ltd.)? C. Do you have shipping agent for delivery? 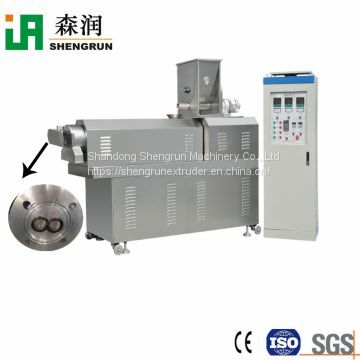 D. Can you test our formulation with your extruder? E. Why the price in the web is a range?